The Alumni and Development Office would like to share with you the good news about the official establishment of the University of Macau (Beijing) Alumni Association (UMBJAA) in December 2017. The Inaugural Ceremony of UMBJAA was held on 23rd December 2017. 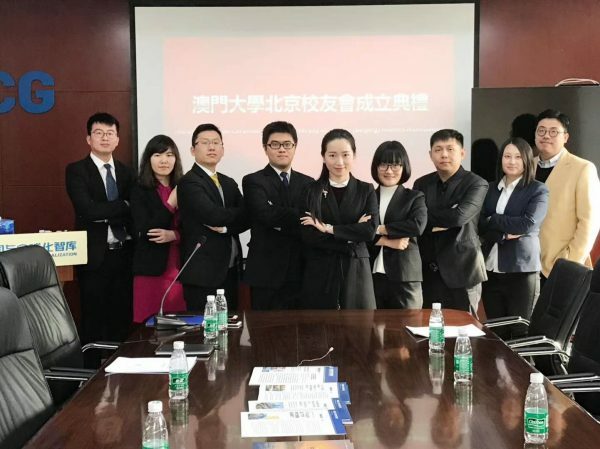 The University of Macau (Beijing) Alumni Association will lead alumni members to build a good communication platform with the Alma Mater and the alumni in Beijing. They will focus on strengthening the link a and provide a platform for experience exchange, mutual cooperation and integrating resources to all alumni in Beijing.